For the past 6 years we’ve had a highly qualified team in the administration of proprietary multivendor network management systems (NMS) which has been completed with other experts in non-proprietary systems, providing global solutions for any large companies or telecom operators. Remote and local control of incremental and full backups. Sortis, with over 8 years of extensive experience in the management of IT services, can undertake any need in your company and, through our specialized team, will be responsible for managing and operating your corporate platform, which will allow you to save costs. Auditing, design and implementation of infrastructure best suited to the needs of your corporate network: departmental VLAN’s, router management, internet access. 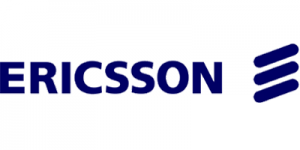 Design and implement voice solutions: Installation and management of telephone switchboards. (VoIP). Management of corporate applications, access and user control (authentication, authorization and registry audit). Preventative maintenance, monitoring and backups. Supplier of Hardware equipment and software applications. Citrix, Microsoft, Ingram Micro, Arrows, partner. Design, installation, configuration and management. Resolution of incidents 7x24x365. 2nd and 3rd level support. Exclusive interface with the manufacturers. Sortis provides the NOC service with highly trained teams to provide network surveillance and monitoring. We work in three shifts, 365 days of the year. With this group it is possible to provide similar services to those customers that require it. Network alarms monitoring 24x7x365 on proprietary management systems and umbrella systems. Coordination and support to subcontractors for local problem solving. Access management to spare parts management centers. Scaling and tracking of third level incidents. Integration of new equipment in Network Management Systems. Design of new services and provision of services: circuit and IP mode. Protections and ring configurations. HW and SW upgrades. Management Parameters (DCN). Sync. Backups of nodes and OSS. Optimization and continuous improvement of processes: repetitive errors. It is an evolved and mature tool for planning and designing microwave radio links. Manages networks regardless of number of links. Capacity for more than 60.000 links. The main achievement of IQlinkXG is the efficient use of spectrum, which means cost savings. Detailed line of sight analysis (LoS) including path profile. Integrated real-time with Google Earth. Ability to perform frequency planning for links manually or automatically. Powerful interference analysis and automatic channel allocation on multiple links. Server virtualization allows multiple operating systems and applications to coexist on a single physical machine, making the most of hardware resources, which means considerable cost savings in IT services. Each virtual machine runs isolated from other machines, behaving like a separate computer. Allows management of host and the allocation of physical resources dynamically and efficiently. Compatible with all operating systems (x86 / x64) and standard applications. Cost savings: Reduction of CPD space, energy consumption, maintenance, etc. 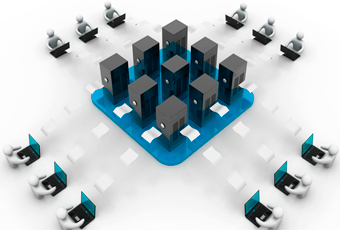 Facilitates system recovery in case of disasters, improving business continuity. Citrix XenApp or VM ware platforms, enables any Windows application to be instantly accessed anywhere, on any device in a virtual and centralized manner. Economic solutions for distributed applications without having them installed locally. On-demand access to business applications from anywhere and from any device via Web, multi-device and multi-system. 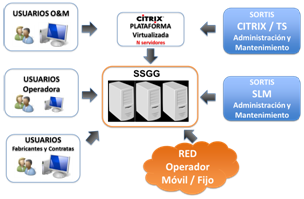 Integration with active directory for centralized user management. Simplify IT needs of businesses, reducing costs. 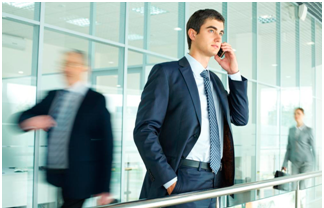 Improved security thanks to centralized access control. Simplifies and automates the delivery and update of business applications. Supply of Citrix XenApp software licenses. 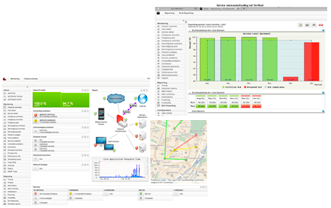 OP5 is a new generation of software for monitoring and managing networks. Hardware, software and multivendor services. Allows a unified monitoring of devices and services regardless of the platform and technology. Scalable solution adaptable to any size network. Controlled costs. Many plugins available (based on open source). 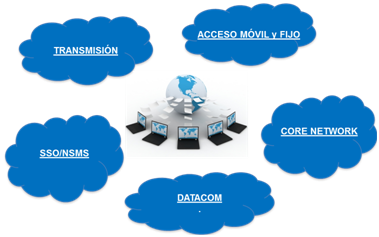 Design, installation, configuration and administration. Redmatch is a solution for hiring managers, human resources departments and employment agencies that optimizes the selection process making them faster, more efficient and transparent, achieving also significant cost savings. Redmatch offers a solution to address the costly and complex recruitment processes, provided in SaaS. The tool incorporates the best and most powerful technology to link the needs of the organization with the professional profiles of the candidates and their preferences more efficiently by automating part of the process and maximizing organizational efficiency in harnessing the talent. This technology calculates the level of adaptation (Redmatching) between the candidate profile, preferences and requirements of the job in real time, showing after the calculation, the level of adequacy of each candidate for each position. The tool also allows the definition of roles with different levels of access and control, as well as management of subsidiaries; integration of recruitment agencies; sectorized reporting by users, positions and candidates; interface for managing internal mobility or integration with ERPs among other features. 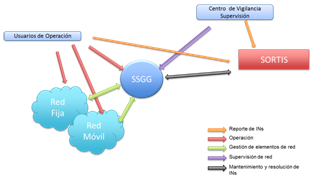 Technical support and incidence management (1st and 2nd levels) and interface with vendor support. Preparation of initial installation and customization of the tool. It is a set of solutions for end users (private companies, government agencies, law enforcement,…) who need a secure communications system. Remote installation and configuration via “over-the-Air” (OTA). Encrypted secure voice and chat: AES-256 on the terminal itself. 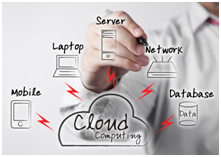 Implementation of the servers at the clients headquarters or on a private cloud. Repairs transmission equipment represent a considerable cost to the operators. Sortis provides this service focused on two main aspects: reducing the cost of repairs and ensure minor repair time 35 days. Our repair capacity is very high and in recent years have repaired an average of over 35.000 devices/year. The repair process is equipped with a great deal of test and measurement equipment with over 1.000 instruments all connected through a LAN network to allow traceability and fault analysis.